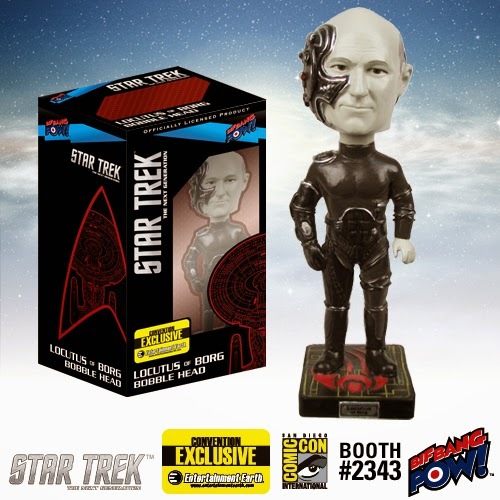 Locutus is here to change your galaxy - and you - in this cybernetic altered take on Captain Picard. Loaded with cables, wires, machines, and the nanoprobes that changed him from the hardworking hero of Starfleet into a pawn of the Borg Collective, this amazing resin bobble head stands approximately 7-inches tall on a Star Trek Borg logo base, ready to do the hive's bidding. So, don't let him get too close to you!